It struck me that ‘The Lush’ and just ‘Lush’ have such widely different connotations. While ‘The Lush’ infers someone who has over-imbibed ‘Lush’ makes me think of rich and opulent; whether in your home, a garden or the experiences we have with food or drink. This cocktail was on the menu of the Logan-Brown Restaurant and Bar in Wellington, New Zealand and I think it’s the later. I was asked to sample a bottle of New Zealand’s Broken Shed Vodka and thought it would be fun to make something from the homeland where it is produced and this was perfect. After a long, long week, I wanted something easy to make and cold going down…our heat is back and, well, it was a week truly gone to the dogs. My week took a decidedly difficult turn early Tuesday afternoon when my daughter Emily called, almost inconsolable and difficult to understand on the phone, and let me know her dog Ginny was so sick that she thought if I wanted to see her again, I should come quick to the hospital. 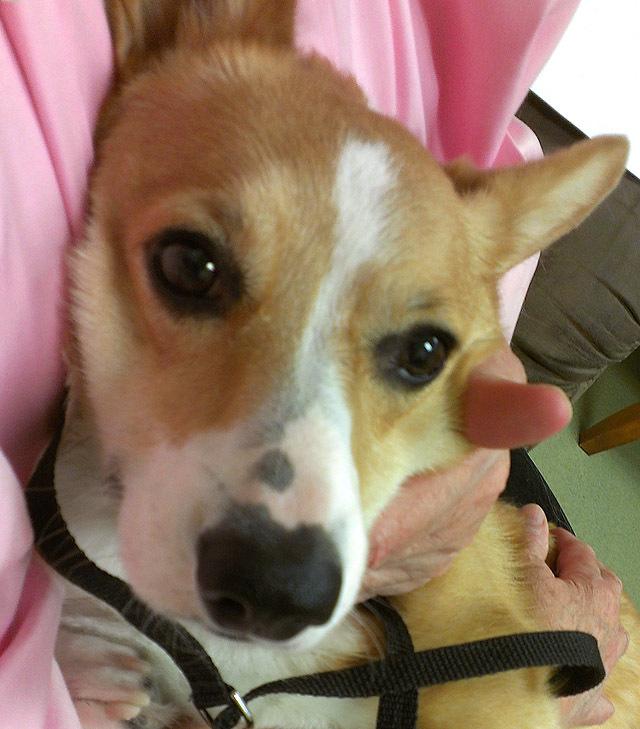 Ginny’s liver was failing and her prognosis was not good. What happened? She got into some Ice Breakers sugar free gum. Some everyday, we all have it around sugar free gum. Take a look at the products on the poster below; Ginny got into a jar of Ice Breakers gum, but any of them could affect your pet and in much smaller quantities than she ingested. So sick; she looks as worried as we were. Some brands of products labeled ‘sugar free’ contain a product called Xylitol and it is presumed to be ONE HUNDRED times more devastating for dogs than chocolate. Beyond Ginny’s inability to keep food down, she had begun to become very lethargic and I’m so glad Emily had the wisdom to suspect something serious enough to take her to the vet. At that time no one knew what caused it but it was clear she had ingested a toxin as evidenced by some metrics. A dog Ginny’s size should have a bilirubin level of approximately 120. At her worst on Tuesday it was measured at 22,000; a clear sign of a liver in distress. It has come down as of today to 10,000 so we are optimistic that her liver is starting to function again. Of equal concern was the inability of her blood to clot. That indicator is measured in seconds; how long a wound takes to start clotting normally. Normal for Ginny would be about 15 seconds and today it was finally close at 19 seconds. At her worst she was measuring 300 seconds; only 5 minutes but that equates to a potentially fatal blood loss were she to be injured so she would not have been considered viable if it had not improved. A plasma transfusion stabilized her ability to clot blood but she had to be able to do that without transfusions and today we celebrated that her body was regaining that ability. 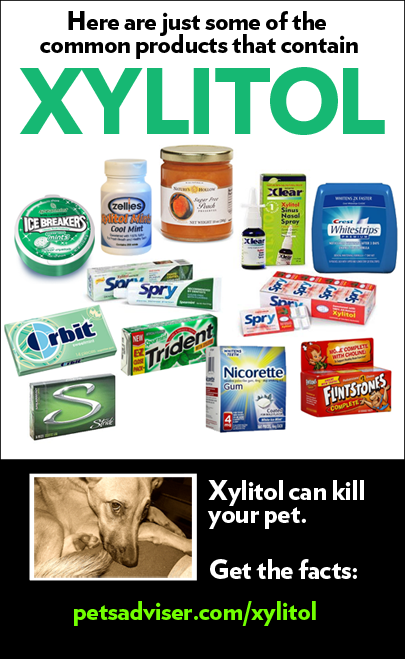 As a community service announcement I want you to look at the graphic above or visit http://www.petful.com/pet-health/xylitol-poisoning-pets-facts/. Take a look at your gum, your toothpaste and your vitamins. Make sure if they have this product that they are far removed from any place your pet can reach them. Even the kitchen table where your pets don’t belong; yes, she did. She either jumped up on the kitchen table and found some gum or it was close enough to the edge for her to knock the container to the ground…and she almost paid for it with her life. Don’t let it happen to your beloved pet; we feel so very lucky to still have our girl. So now that you know what our week has included, you won’t blame me if I needed a cocktail right? If I didn’t research a back story or interview the bar owner? This was not the week…but this cocktail was good enough I wanted to share it with you. Although I used Chambord I can see the combination of vodka and prosecco working with so many variations. Orange liqueur, limoncello, cranberry liqueur…the list could go on and on! 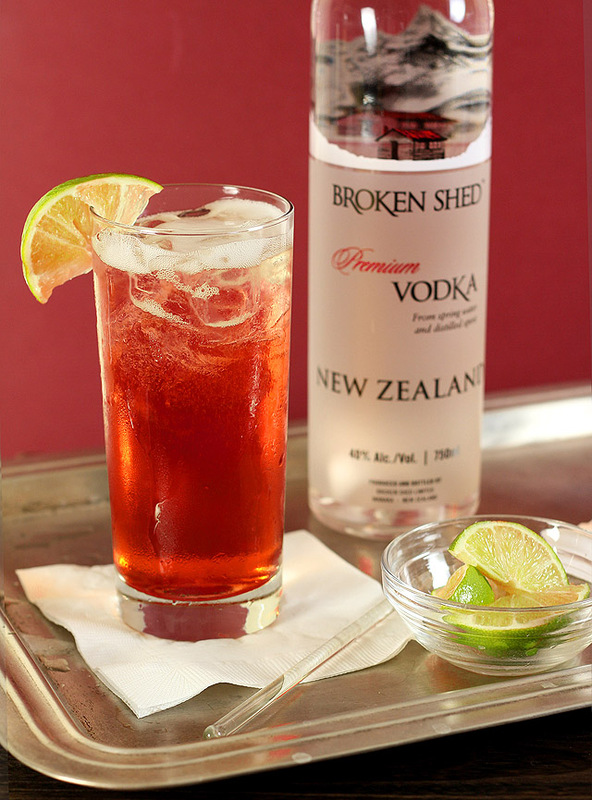 Broken Shed uses spring water from both islands of New Zealand; nothing particularly surprising for a premium vodka, but what was unique is that it’s distilled from whey, a sugar that is the liquid byproduct of cheese-making. I thought it crisp and bracing on it’s own but I especially liked it in a simple cocktail. Of some unique interest and surprise? It has a cork stopper! Some purists find a cork stopper to be preferable to a screwcap on spirits but I admit that was news to me; except for wine I’ve never seen it before. I was glad I had stored it in the freezer; this cold and simple cocktail hit the spot on this day; one that combined the end of an ordeal with the celebration of Ginny coming home. Now I think I’ll crash; the Labor Day weekend is starting today for me! 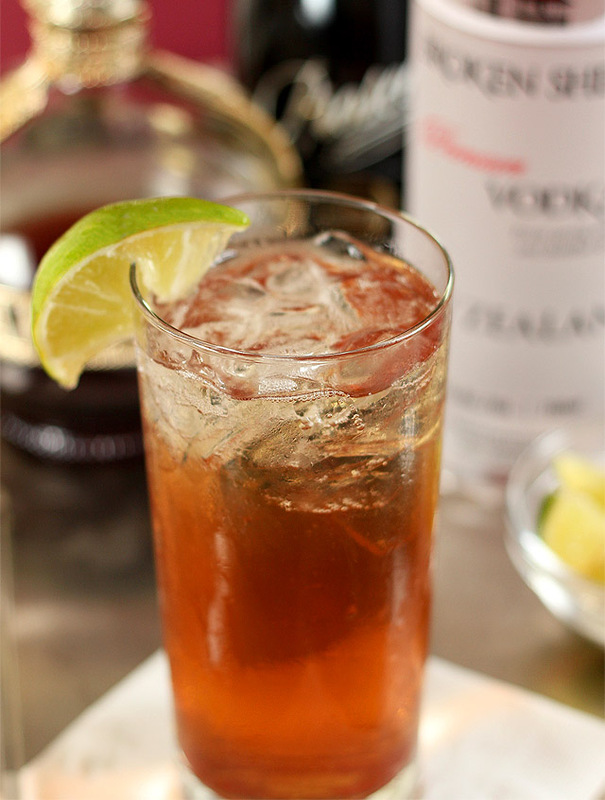 Fill a Collins glass with ice. Add the Chambord and vodka and stir. Pour in the prosecco to top off the glass and gently stir to combine. I was provided with a bottle of Broken Shed Vodka to sample but all commentary is my own. UPDATE on Ginny, Sept 2, 2012: She is doing great. Eating with renewed vigor and dying for more activity than she should have. Emily has to keep a close watch on anything that might cause bruising until we can be certain that her blood clotting levels are again normal. We are most grateful for the group Corgi Pals that have decided to do a fundraiser for Ginny’s vet bills; the fight was worth it but it’s quite a burden on a young single woman so they’ve seen a need to help. We can’t thank them enough! Thanks for visiting Theresa and glad to spread the word…we had no idea and neither did hundreds I’ve been able to notify via this post and Twitter. I don’t want the same thing to happen to others! Thanks for visiting Theresa and helping to get the word out; most have no idea and I would hate to see someone go through what we did. Wow! So glad that Ginny is ok. I had a similar experience after my Molly had her distemper shot and definitely could have used this cocktail then! Best wishes for a speedy recovery! We are so lucky; she is still not quite as energetic (but hey…that normal level can sometimes be a royal pain!) but she has been declared able to resume all normal activities and back to a regular diet. Every time I see her I’m reminded we were told to say goodbye; so very grateful that did not come to pass. Oh dear Nooooooooooooooooooooooooo! ‘She’ is forever jumping for the toothpaste tube! I need a cranberry cocktail bella… be still my panicky heart! My dog is forever sniffing in friends purses they put on the floor and she has most definitely scored some gum…thankfully most of them use a different sweetener but I will be even more diligent; this is serious stuff and I’ve heard some stores since about dogs that did not make it so I’m on a mission to get the word out! You know I love your pup even if from VERY afar! I’m so glad to hear that Ginny is doing better. What an ordeal you all went through. My houndies are family and I would be absolutely devastated if anything happened to them. I hope Corgin Pals helps you to reach, if not exceed your goals. Thanks Deb…we are very lucky and know it. Ginny’s vet said she has never had a dog with such a high level of toxins survive so I’m going to give some credit to all the folks on Twitter and this blog who were pulling for her. It’s a miracle! Good to know ginny is better! And seriously I would need pitchers of this cocktail after all that you went through last week! I completely understand your stress with Ginny. There are so many things that can harm our dogs that no one knows about or is told, even by our vets. As you can imagine, we are so concerned about anything that Beamer takes in his body these days. It is great to know about this danger. I hope Ginny recovers completely and that this warning helps others. I know you know only too well Gwen…as well as that fear of losing a beloved pet. I adore Ginny but I think my fear was compounded by what it would do to my daughter; I’m beyond grateful I don’t have to deal with her losing her ‘daughter’ way too soon. I am so happy Ginny is alright. Yes, xylitol is deadly. Thank you for posting the products that contain this substance. The drink looks amazing. So glad to see photos of Ginny. Your daughter is a great dog Mommy and I know this post will help someone avoid the same near disaster. Our pets ARE our family and keeping them safe is imperative. Wow!!! That’s so scary. I’m glad she’s doing better and is hopefully continually on the mend! I understand why you’d need and want a drink after that ordeal. I need a cocktail after just reading about poor Ginny’s ordeal and feel for both her as well as you. It broke my heart to hear her story but I’m so glad that she was okay. This is such an important topic and I had no idea how lethal something like that could be to a pup. Glad she’s doing better! So so glad Ginny is better again…I didn’t know about xylitol…I don’t have any sugar free stuff around the house but if I ever do, I’ll know to be extra careful with my counter-surfer Patsy. I’m so glad Ginny is okay!! I’m going to forward your story to my daughter as a reminder to keep her gum hidden away. Or better yet, read the ingredients to make sure there’s no xylitol. P.S. 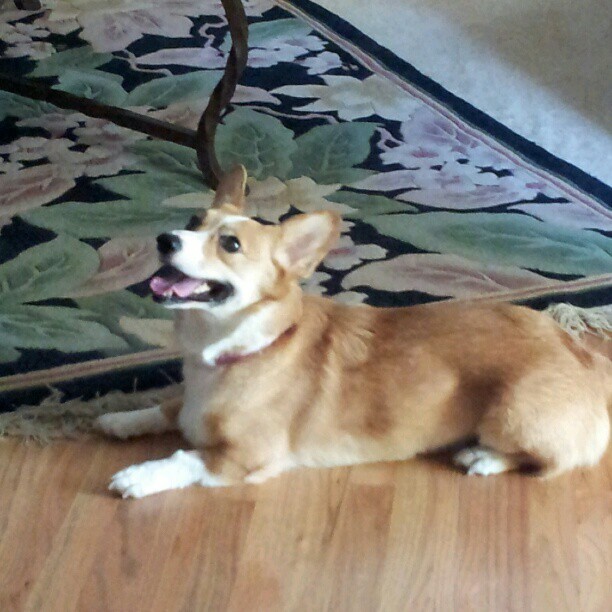 My corgi, Lizzie, says hi. What a relief to have Ginny home after a week of ordeal. You deserve more than just a cocktail. My friend had the same experience and thankfully all was well at the end for her. Cheers Barb and enjoy a fantabulous holiday weekend. Poor Ginny and I’m so glad she pulled through. People need to be aware of what can do this to a dog and try and take precautions. Chocolate is also deadly to dogs. And yes, you so deserve a cocktail and this one is perfect. Kick back, Ginny at your feet, and have a drink for both of us. I’m so happy that beautiful little Ginny was released from the hospital and I hope and pray that she continues to a completely full recovery at home. I can imagine how terrified for her little life you all were for awhile there but little as she may be, Ginny is a big fighter. I certainly don’t blame you for needing a drink. I’m SO glad Ginny is ok! It’s so frightening when something like that happens. Looks delish and I am sooooooo glad Ginny is doing well. You just never know what will affect a pet and now I know several products…thanks to your public service announcement. 🙂 Thanks for sharing Barb and I’m on my way over to sample this cocktail! Poor Ginny! I’m so glad she is feeling better. I absolutely LOVE Pembroke Welsh Corgis and I know how they are about eating ANYTHING so you definitely need to be careful with them! Oh Barb, I am so glad things seem to be looking up for Ginny. Will keep her and you all in my thoughts. And yes, you SO deserve a drink. I’ll be sharing this info with all my friends who are dog-owners too, thanks! Sweet Ginny! breaks my heart to think of what she’s going through. Thank goodness she has a very loving Mom and G.Mom! Thinking of all three of you. Thanks for this post, Barb. It’s great info to get out to the public. I like the idea of another cocktail with Prosecco and think I need to start stocking it in the cabinets at my house. Seems like it is a great drink to have by itself or to mix with other ingredients. A good one to have on hand if company stops by unexpectedly and you need to make something on the spot. What good news that Ginny is on the mend! Poor Ginny! Worse than chocolate, you say. Sheesh. I don’t have sugar free gum around the house very often but I will make sure not to have any where Charlie can get to it. He learned how to get rawhide sticks out of the packet today so gum wouldn’t be difficult at all. After all this excitement about Ginny, I think I need one of these drinks too. I’m SO glad she’s getting better. Our furry friends mean so much to us. Oh so good to see Ginny’s bright eyes! I will pass the word along about Xylitol. I had no idea. I don’t blame you and Emily for needing a drink or two after the week you’ve had.